“I have had many cars, but had always wanted a Triumph. 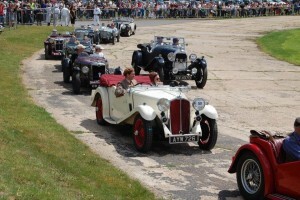 The first one I looked at was a 1937 six cylinder Dolomite. However, I passed on it, but always thought a Triumph would be a nice addiction to the stable. A Triumph Monte Carlo turned up, and in a rush of excitement I bought it, ignoring the fact it had an MGB engine and gearbox! Well I am pleased to say I have reunited it with the original, and added a very nice ‘oily rag’ Gloria six cylinder saloon as a garage mate. I am a keen user of my cars, touring all over England and many continental trips. I even have the accolade of winning the most leaky car at the Triumph national!